Divesite for the Pro Dive Cairns 3 day 2 night dive liveaboard trip. The deepest rises about 33m off the sand to within a metre of the surface at low tide. 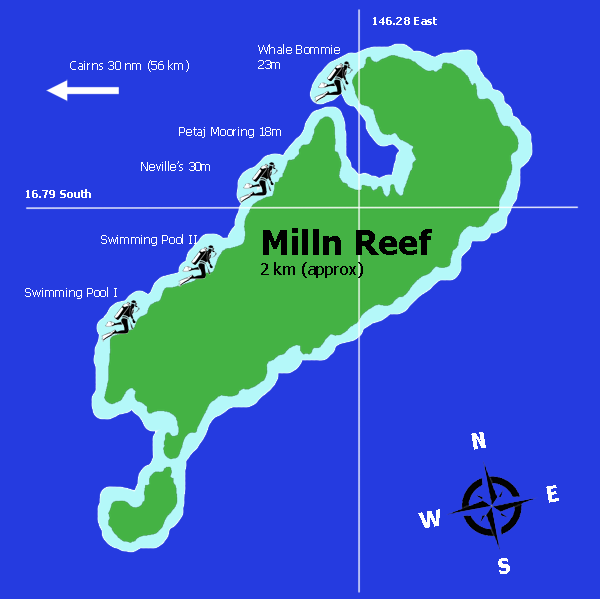 Their are 4 wonderful dive sites at Milln Reef that present divers with excellent swim throughs and wall dives. It is a great divesite for night diving and you will see parrot fish asleep on the walls in their mucous sacks, turtles barracuda and occasionally a bull ray. Whale bommie provides a good dive in depths exceeding 20 metres. 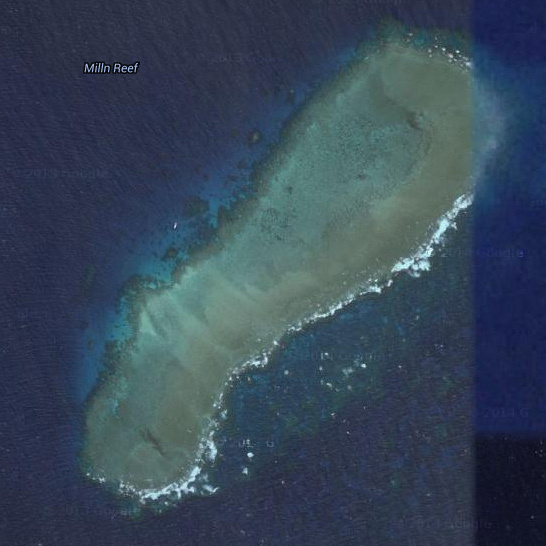 A great site to dive at night where you can expect to see sleeping turtles, reef crabs, painted lobsters. Some beautiful soft corals as well as gorgonian fan corals are a feature of the different types of corals that inhabit this reef.